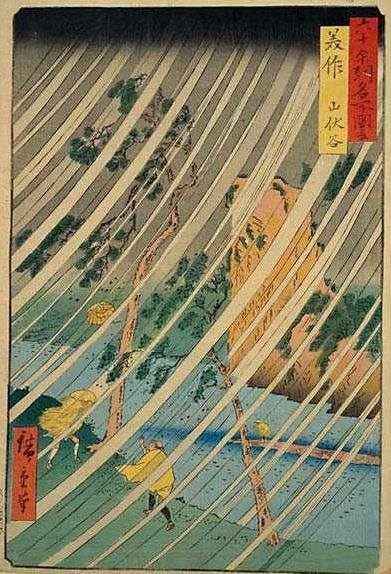 In Japan, typhoon is a kigo for mid-autumn, mostly September when most of them hit the islands. In America, these strong winds are called hurricane. "violent storm, hurricane," from Gk. typhon "whirlwind,"
personified as a giant, father of the winds, perhaps from typhein "to smoke." Or borrowed from Chinese (Cantonese) tai fung "a great wind," from tu "big" + feng "wind;" name given to violent cyclonic storms in the China seas. A third possibility is tufan, a word in Arabic, Persian and Hindi meaning "big cyclonic storm," which may be from the Gk., or from Ar. tafa "to turn round." The Greek word (tuphon) meaning whirlwind, and the Arabic word (tufan) meaning deluge, or (tafa) meaning overflow or walkabout seem to be the origin of typhoon, which the Chinese seem to have adopted and created a new word big wind, or ta feng. In the face of the forces of nature manifesting themselves in typhoons and earthquakes, you may understand the 'modesty' and 'humility' of the Japanese people (of the past) towards the almighty nature. Usually between the day 210 and 220 after the beginning of spring (risshun). Typhoon, autumn gale or strong windstorm at this time. 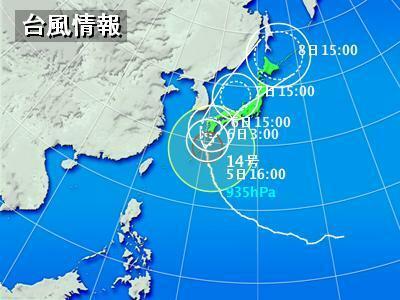 It stressed the WIND aspect of a typhoon, not the rain. Living in the rice fields of Western Japan, I have come to see this "parting of the fields" quite often after our autumn typhoons. It hurts to see the ripe ears of rice hang down on the ground to the right and left of a swath of flattened stems. 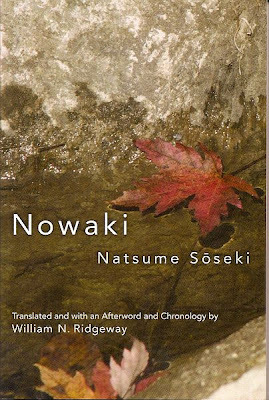 is a short Japanese novel by Natsume Sōseki (1867-1916). Written in 1907, the novel was published in the magazine Hototogisu in January. The year 1907 was a turning point in the author’s life when he left his Tokyo University teaching position to write full-time for the daily Asahi Shimbun. After a typhoon has brought damage in the form of flooding and landslides, it was customary to visit relatives and friends and support them with money and other help. 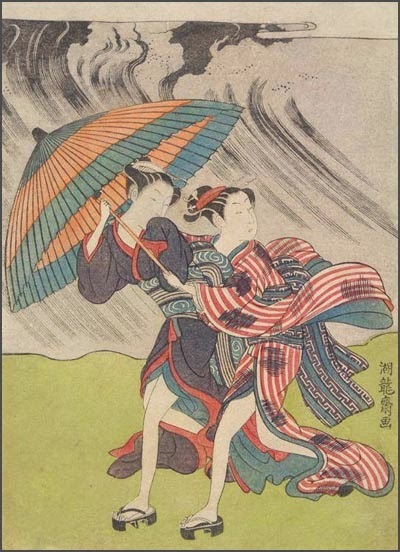 During the six-month hurricane season that runs from June 1 through Nov. 30, the center is responsible for alerting people to storms in a vast expanse of two oceans, the Atlantic and eastern Pacific.
. Typhoon legends - taifū 台風 伝説 Taifun Legenden .
. The Wind God, Fuujin 風神 Fujin、Fuu-ten 風天 . i gratefully write that my area was not directly affected by hurricane rita. however, we were close enough to experience the tips of the spiral nebula that was the storm. all thru the afternoon before landfall and all the next two days, we at the fringes of the 170 mile wide storm were amazed at the spectacle of watching the arms of the storm spiral overhead. sweeping arms of cloud, hazy sunshine, cloud, sunshine .... repeated every hour. ten minutes of sun for every hour of cloud. we just got high winds and nary a drop of rain. in the ears of the reeds . . .
. . READ : Discussion of the translation. YANGON, Myanmar - Myanmar's Irrawaddy delta remained largely cut off from the rest of the world Tuesday, four days after a cyclone unleashed winds, floods and high tidal waves on the densely populated region, killing nearly 22,000. State radio reported that more than 41,000 others were missing in the wake of Asia's deadliest storm since 1991. With the death toll expected to mount and as many as 1 million possibly left homeless, the international community was poised to deliver aid to the military-ruled country, which normally keeps out most foreign officials and restricts their access inside the country. On 26-27 September 2009, Typhoon Ondoy, internationally known as Typhoon Ketsana, wreacked havoc in The Philippines, most notably in Manila, where more than half the streets were flooded, entire neighbourhoods were swept away, and some 350 people lost their lives. The devastation is enormous, relief operations can scarcely be carried out, and the population is suffering terribly. And yet, the spirit of the Filipino rises even above these things. There is even room for humor. This hokku is from the eighth month (September) of 1811, when Issa was in the greater Edo area. In Issa's time typhoons, especially strong ones in the eighth month, were called nowaki, literally winds that blow so hard they push right through tall field grass, bending it low. Most typhoons reach Japan from further south in the Pacific or from the East China Sea to the south, so they usually pull a lot of warm, humid air with them as they move north, mixing their warm air with the comparatively cooler air in Japan. The hokku evokes the moon as being affected by the strong, strangely warm wind and by the rapidly streaming clouds that seem to wrap the moon in darkness one moment and the next moment allow it to shine through, partially or fully. Until the typhoon arrived, nights had probably been gradually getting cooler in September, but suddenly it is muggy, and even the moon seems to be a hot, humid, roiling place. The next hokku in Issa's diary calls the flickering moon during the typhoon "strangely/somehow/uncannily/disagreeably hot" (nama-atsui). Perhaps the suddenly changed sky and the moon's changing shapes coming through the wet, churning clouds suggest a hot yet cool cauldron. The hokku mentions the moon twice. I take the two moons to be intentional, since I think Issa wants to distinguish a weird, uncanny typhoon moon from ordinary moons. This moon feels so strangely hot and without a single stable shape that it almost seems unreal.